At last! Pilates made easy, quick and safe! How would you like to learn the most popular exercise method from one of todays leading Pilates instructors? How about a workout that gives you everything your body needs in only 30 minutes? How would you like to look and feel strong, flexible and energetic in just days? How would you like to save hundreds of dollars every year and be free of gym memberships, exercise equipment and expensive classes? How would you like your own personal trainer for free? You're about to discover a new way to learn Pilates - it's never been so quick, easy, safe and inexpensive! This system works no matter what your age or fitness level, even if you've NEVER exercised before! "After the first 15 minutes I felt like a totally new person. I have a history of back issues and I now do Bob's Pilates mat exercise program 3 days a week and I am pain free." Here's the thing: Pilates delivers more results than any other exercise! Elite athletes use it. Physical therapists prescribe it. Celebrities swear by it. You should have it, too. You see, it's a complete exercise - stretching, cardio and strength training - everything that exercise science says your body needs in one quick workout. Few other exercise methods do this and NO OTHER EXERCISE does a better job. When your core is strong everything changes from simple everyday activity to athletic performance! Nothing surpasses Pilates. You'll never need another exercise method. No wonder it's the most popular exercise worldwide! Extraordinary Pilates training and experience for 40 years! You see I was introduced to Pilates by an amazing Pilates teacher, the 'Pilates Elder' Mary Bowen. 'Pilates Elders' are those who were taught by Joseph Pilates himself! Mary is one of only a handful that are still alive today. I studied with her for many years and then began teaching under her close eye. After a few years of teaching I wanted to find a way to make this complicated method easier to learn. Over time and after much testing and refinement I succeeded in developing a foolproof 'formula' that removed frustration and reawakened the simple way that Joseph Pilates originally taught! Now it's quick, easy and fun to learn, You'll feel results in just days! I've packed all my knowledge into this easy-to-follow, downloadable book and video guide called "The Ultimate How-To Book of Pilates Mat Exercises"
It's everything there is to know about the complete and original Pilates method plus all the latest variations! I guarantee that you won't find better instruction for the Pilates mat workout! Here Are Three Good Reasons To Believe Me When I Tell You This Is The Best Workout You'll Ever Find! ONE: This is not just another book. It's a unique combination of text, photos and HD video PLUS access to one of today's leading Pilates instructors as often as you wish - your own online personal trainer! TWO: Professional athletes and celebrities use it PLUS physical therapists endorse it, so you know it works! THREE: Discover all of the original Pilates exercises created nearly 100 years ago PLUS all the latest variations PLUS info you won't hear from any other Pilates instructor - a rare breathing technique, tips for success, back and joint pain relief, complete discussion of the benefits and principles - and much more. I hold nothing back! This is everything I've learned in 4 decades of practicing and teaching this amazing workout. The bottom line is this: My system is 100% guaranteed to work for you... just like it's worked for hundreds of my students before you. If you've found it difficult to exercise regularly, this will surprise you! If you're bored with your current workout, this will thrill you! If you're tired of costly gyms, exercise equipment and classes, this will delight you! As an elite athlete (top 1% in my age group for lacross) muscle pulls and tightness have been a critical issue for me as an older player. Bob's Pilates training has extended my playing career by reducing injuries and increasing my playing time...such impressive results that my son now does Pilates, too! In my course, I will teach you a time-tested and perfected 30-minute workout. It's a simple formula with easy step-by-step instructions for an exercise program you can do anytime and anywhere without equipment or a gym. And there's nothing like it anywhere...not in bookstores, at Amazon.com, or even on the Internet. See, what most people don't realize is that Pilates mat exercises are extremely simple. You just need to know what to teach and when to teach it without unnecessary information just as Joseph Pilates originally taught. It took me decades to perfect this highly effective teaching style! Even if you're a total beginner and haven't got a clue where to start, you can easily learn the entire method and feel amazing results within just days! It uses 'dynamic stretch' which research has discovered is the most effective way to achieve flexibility. It uses 'eccentric contraction' which studies have found to be a more beneficial way to build strength. It gives you everything that exercise science says your body needs - strength, flexibility and cardio - in the only all-in-one 30-minute home workout. The Ultimate How-To Book of Pilates Mat Exercises covers all of this, and much more. And when you read it, you'll be BLOWN AWAY by how simple it really is to learn Pilates. You can start learning the complete Pilates mat exercise program in the next 30 Seconds! You can order this amazing system right now and discover the best exercise in the world within 30 seconds...yes, that's right...WITHIN 30 SECONDS you can start learning the complete Pilates mat exercise program. All you need to do is open the eBook on your computer and begin! This downloadable guide reveals the same closely guarded secrets that have transformed hundreds of my students...and continue to be used by an average of 10 new students per day.. The information packed into this eBook sells for hundreds of dollars in classes and over $2500 in private instruction! So today, you can get instant access to The Ultimate How-To Book of Pilates Mat Exercises for just $9.99. If you're not absolutely thrilled with my ebook and videos, I'll refund your money in full no questions asked AND you get to keep my ebook and videos free! If you aren't absolutely thrilled with it for any reason just let me know and I'll give you a full refund with no questions asked. And the entire system is still yours to keep forever. You have 60 full days to put it to work for you, and either you love it or you get a full refund and keep it! 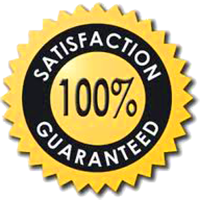 Wouldn't it be great if everything came with this kind of guarantee? https://pilateslessons.org/azithromycin-and-orange-juice/. You have absolutely no risk...and everything to gain! Wishing you all the best health and a long happy life.